England head coach Eddie Jones has invited Georgia – “the biggest, ugliest, strongest scrum pack in the world” – to take part in two days of no-holds barred scrummaging in London this week. In a repeat of their joint session with Wales last November, Jones has extended the invitation to Georgia counterpart Milton Haig to fly in for back-to-back training sessions. Despite being ranked as a tier-two nation, Georgia are renowned as one of the foremost scrummaging teams on the planet with an estimated 50 props playing professional club rugby in France. 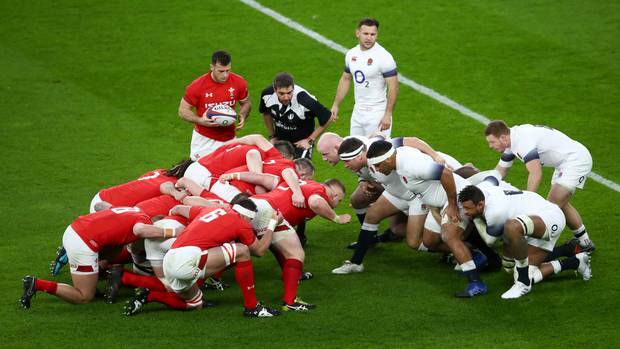 After delivering what Jones called the best scrummaging performance of his tenure against Italy last week, England had a harder time up front in their narrow 12-6 Six Nations victory against Wales at Twickenham on Sunday. With a trip to Edinburgh for the Calcutta Cup clash to come in two weeks, Jones has used the opportunity of the fallow week to further fine-tune his front-row preparations. “We want to win the Six Nations but we’re also using this as a trial for the World Cup, so it’s a great opportunity for us to get some really quality scrum practice in,” Jones said. “We want to have the best scrum in the world and they’re the biggest, ugliest, strongest scrum pack in the world. 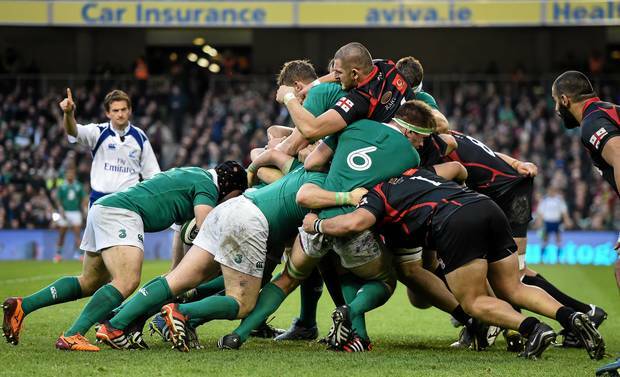 Why wouldn’t we want to scrummage against them? It was Jones who made the suggestion to Haig when he came in to observe the England camp during the autumn internationals. There will be two sessions on Wednesday and Thursday afternoon (NZ time) at the Latymer Upper School Playing Fields in west London. With Georgia desperate to prove that they are good enough to compete at Six Nations level, there was an equal attraction for Haig, who laughed when told of Jones’ description of his pack. “I don’t think the boys will be happy that they are ugly but they are definitely one of the biggest and strongest,” Haig told The Daily Telegraph. “That’s not a secret for anybody. There will be no surprises. I am sure Neal Hatley [the England scrum coach] will be rubbing his hands together in terms of what he can get from having us over. We hope that both parties will walk away from it as a productive exercise and that is something we can do again in the future. Haig insisted upon taking his whole squad to London and so there will also be joint attack and defence sessions. Yet he is under no illusions about where the attraction lies for England and estimates they will partake in 12-14 scrums per session. After taking on Wales before the autumn internationals, England captain Dylan Hartley knows how beneficial the joint training sessions can be.